Los Angeles–based Homeless Studio has designed a prototype to help reduce the homeless crisis across southern California. Madworkshop’s Homeless Studio is working to help alleviate the problem of homelessness alongside the city of Los Angeles, whose mayor, Eric Garcetti, recently declared a state of emergency in the face of the crisis. About 50,000 are homeless on any given night in L.A., a number that has increased 5.7 percent since 2015. 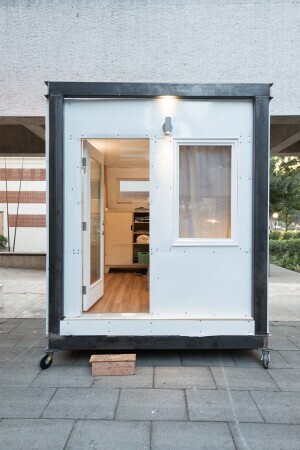 The Homeless Studio’s Homes For Hope project has created a prototype for a single-person, movable housing unit that provides a displaced person with a temporary home. The project will benefit the Hope of the Valley Rescue Mission that focuses on providing women over the age of 55 with a shelter. 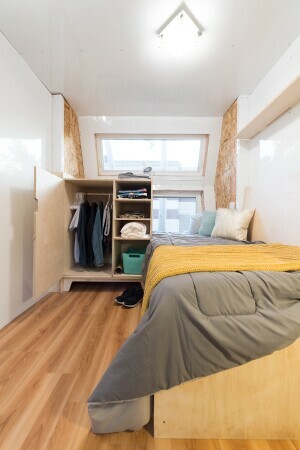 Suspended 2 feet above the ground, each unit will be 92 square feet with enough room for a bed, desk, chair, and shelves. 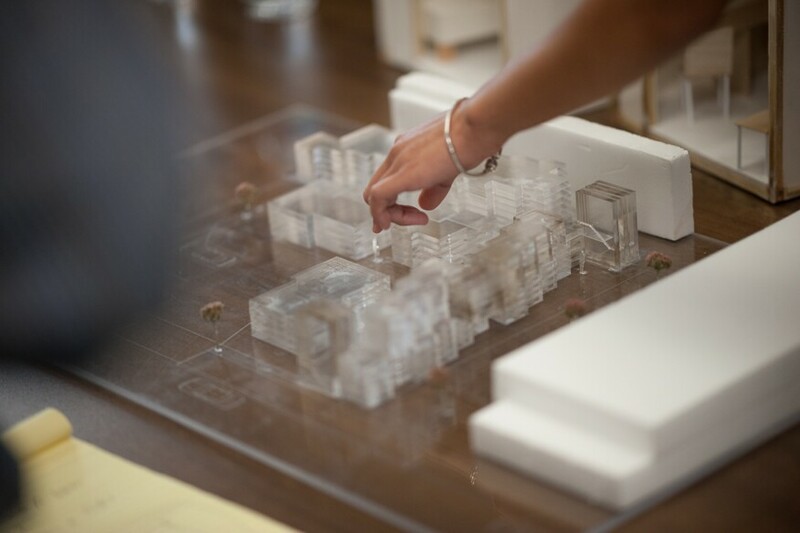 Because the design is modular, each unit can be repurposed or aggregated into a 30-bed community complete with communal spaces, bathrooms, outdoor terraces, and a dining hall. The entire complex can be assembled in two weeks and relocated on the back of an 18-wheeler. In addition to the design, the Homeless Studio worked with the stringent building and zoning codes in Los Angeles to turn the concept into a reality. Since the project is manufactured elsewhere and assembled on site, Homes for Hope’s design falls under the category of congregant housing—a 30-unit building can be built in any residential or commercial plot of land. Funding is being raised by the Hope of the Valley Rescue Mission. The entire development will cost less than $1 million with each unit estimated at $25,000 for labor and materials. The Homeless Studio was founded by the Madworkshop Foundation to support the innovative social designs for the next generation of architects. Led by USC faculty members Sofia Borges and R. Scott Mitchell, the studio is made up of 11 fourth-year architecture students from the University of Southern California. Madworkshop provided the funding the resources needed to create the prototype, and the design is a collaborative final project for the student’s architecture course.